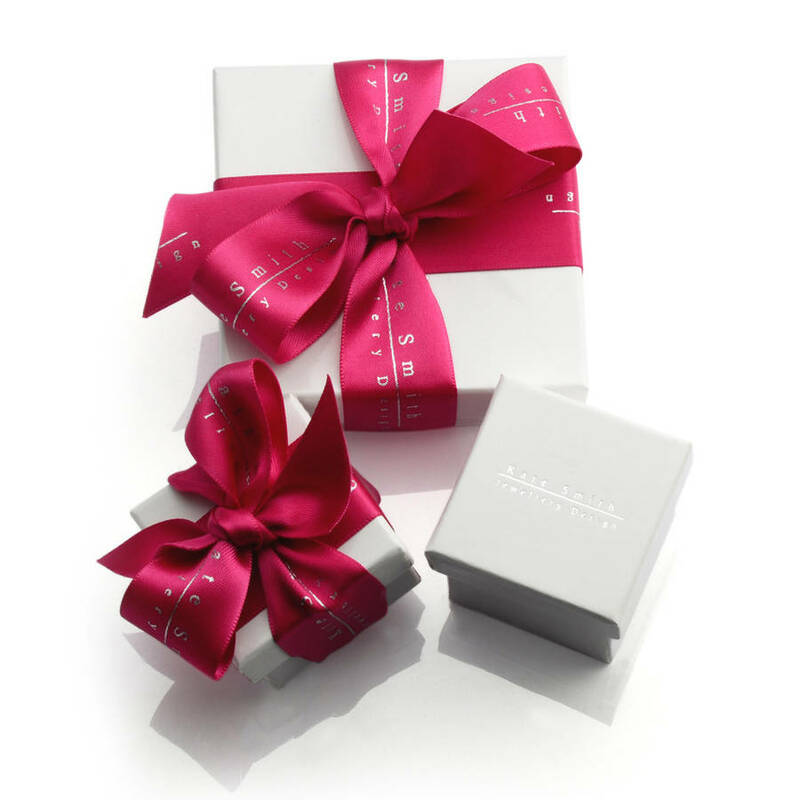 A Kate Smith Jewellery Design classic, this is the ring we are known for and continues to be a must have piece of jewellery for those in the know! This makes a perfect alternative wedding or engagement ring; many customers have this ring to represent both. 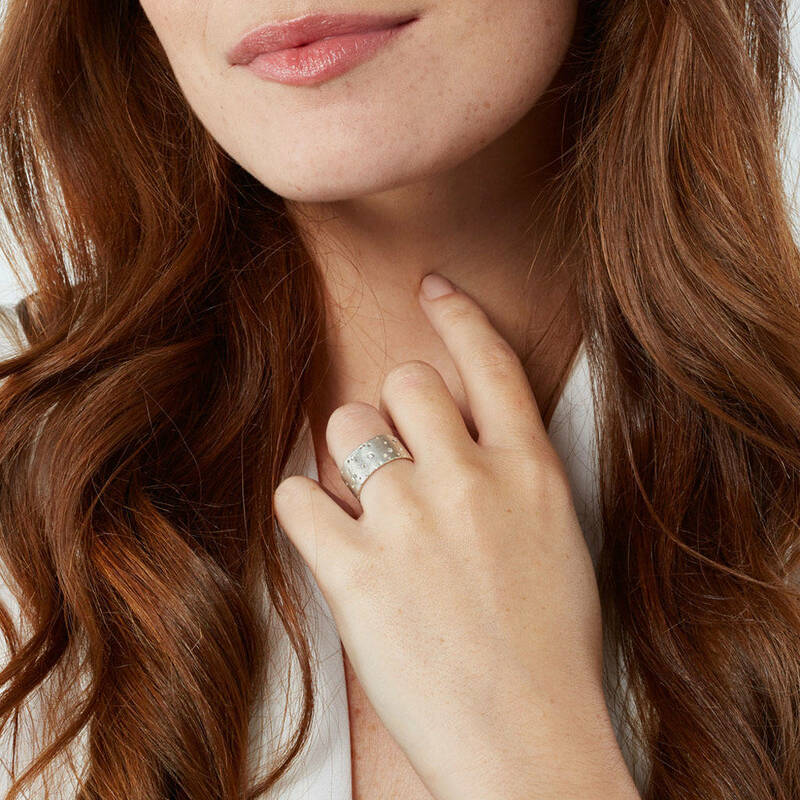 Comfortable for everyday wear, the diamond patterning features throughout the entire ring and the unusual 'frosted' finish adds extra subtle sparkle! This has also been purchased as a modern take on an eternity band. 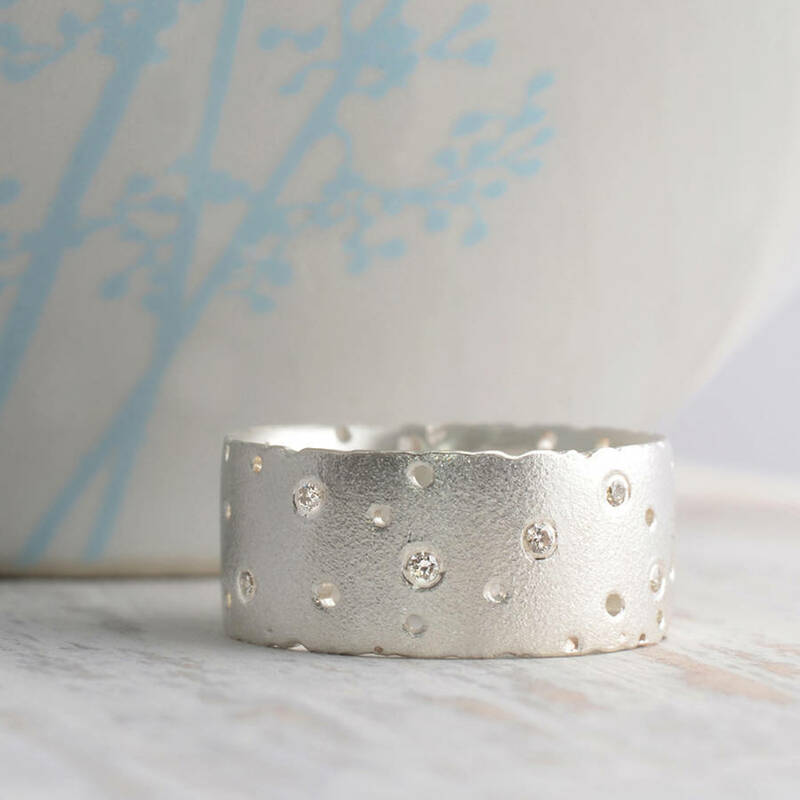 Nibbled edges and a frosted finish gives this ring a beautiful, organic feel. Hallmarked, sterling silver. 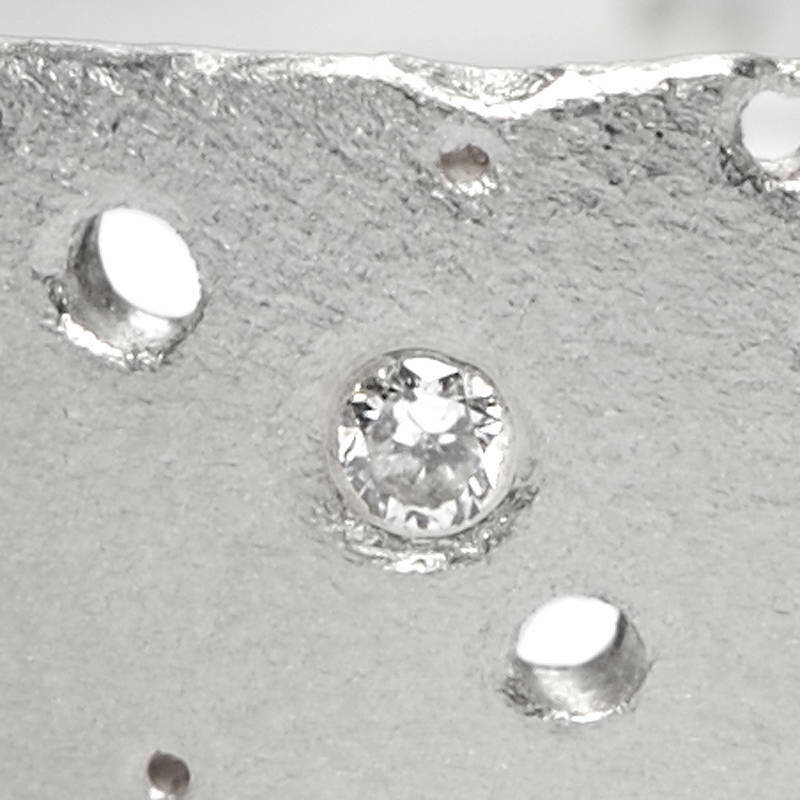 12 diamonds - a mixture of 1.2mm and 1.5mm in diameter. Our diamonds are ethically sourced and are of GV S quality. 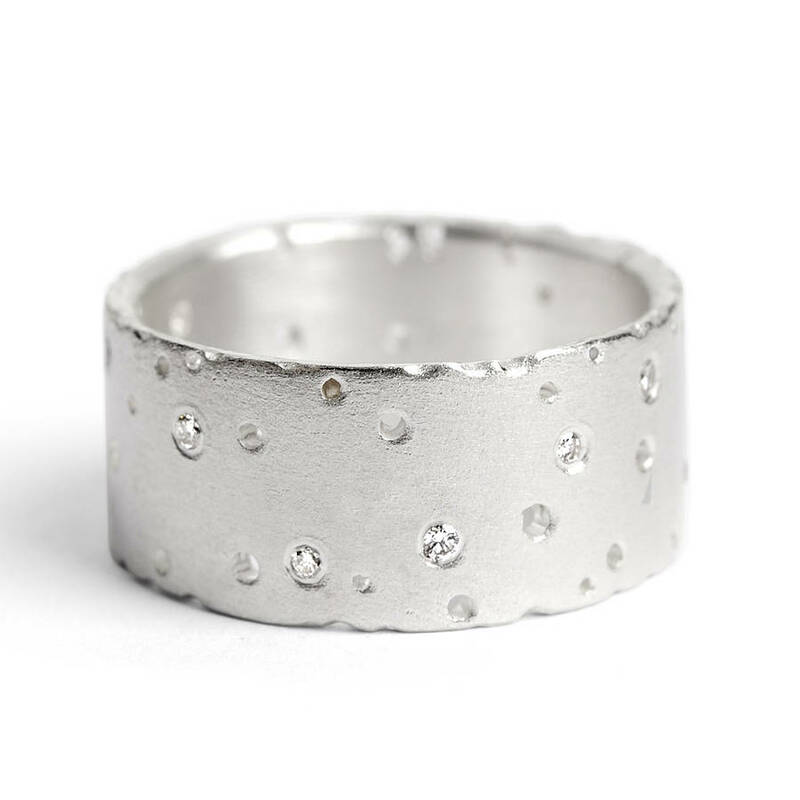 Whilst this ring is shown as in stock, all of our rings are sized and diamonds expertly set to order. We offer a FREE FINGER MEASURING GAUGE that can be posted to you, to ensure an accurate size is ordered - please request one (with your address) via the 'ask the seller a question' button above, or if you have any queries about sizing. Rings can be exchanged or refunded, however please refer to our full Terms & Conditions for more details (these can be found by clicking the 'read seller's profile' tab, shown here to the right).